VXL Software’s new Illumineye DS software release now incorporates Live TV and Microsoft Excel spreadsheet integration, an improved wizard-based Illumineye Creator, the choice of an ultra-high-definition 4k media player and a five player, server bundle for SMB users – making it one of the most user-friendly, feature-rich and cost effective solutions available today. Manchester, UK – VXL Software’s latest Illumineye Digital Signage software release represents a new industry benchmark in functionality, creativity and ease-of-use with the inclusion of a new Live TV feed, enhanced data display using Microsoft Excel spreadsheet integration, a wizard-based Illumineye Creator and 4k ultra-high-definition display support. “The new wizard-based Illumineye Creator is a key part in our strategy to deliver a digital signage solution that can be used by everyone, not just those with professional IT skills, while our new, high-performance, IQB-A media player satisfies the increasing customer demand for ultra-high-definition 4k content.” added Noon. The complete package includes a Illumineye server (Win10 Pro PC), five IQ-L media players, an eight-port switch together with pre-installed Illumineye DS Manager and Creator software licences. 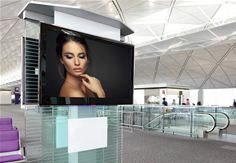 “We recognised that there’s a demand within the SMB sector for a cost effective and simple to use digital signage solution” commented Frank Noon. “Available for a one-off payment of US$ 3,350 and with no monthly subscription to pay, our new Illumineye server bundle provides an ideal solution and excellent value for money for the small and medium business user” he added. VXL Software is a global company, with offices in Asia, EMEA and the USA and software solutions including Illumineye Digital Signage Suite, Unified Endpoint Manager, Fusion EMM and CloudDesktop PC repurposing. VXL Software is a division of VXL Instruments. Established in 1976, VXL has locations in the USA, UK, France, Germany, the United Arab Emirates, India and Singapore. VXL Software’s Americas Group is headquartered in Houston, Texas. The European headquarters is in Manchester. VXL Software’s development team, and the Asia Pacific headquarters, are based in Mumbai, India. VXL technology is a global leader and manufacturer of thin and zero clients – supplying a high quality range of high specification models which are made to the most exacting standards. With a choice of Windows Embedded and Linux operating systems, VXL thin clients are compatible with the latest industry protocols including Citrix, VMware, Microsoft and Teradici. VXL Technology has locations in the USA, UK, France, Germany, the United Arab Emirates, India and Singapore. VXL’s Americas Group is headquartered in Houston, Texas. The European headquarters is in Manchester, UK.